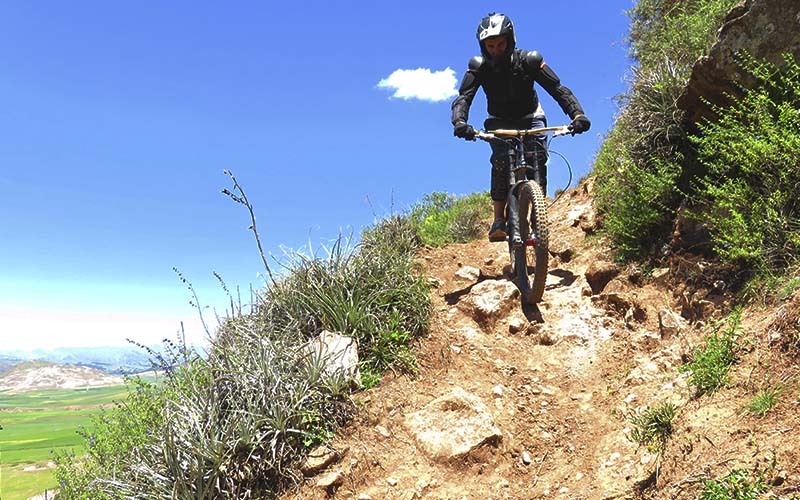 We have the best mountain bike trails combination between funny, medium and hard dificulty. Don’t worry if you don’t have experience. You can enjoy with our tours. 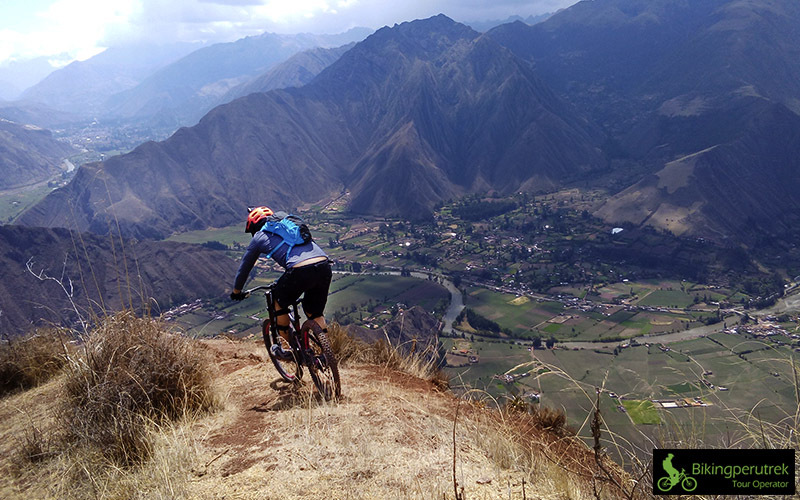 Live the experience of mountain bike in Cusco Perú. 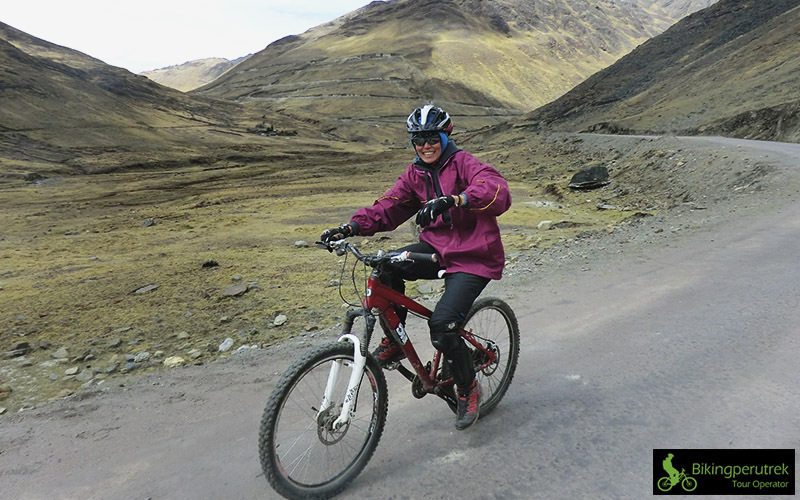 You will maras moray biking tourbe picked up from your hostal at 8:50am and head by transport out of Cusco for about 1hr30 until reaching the village of Cruz Pata at 3550 m.a.s.l. 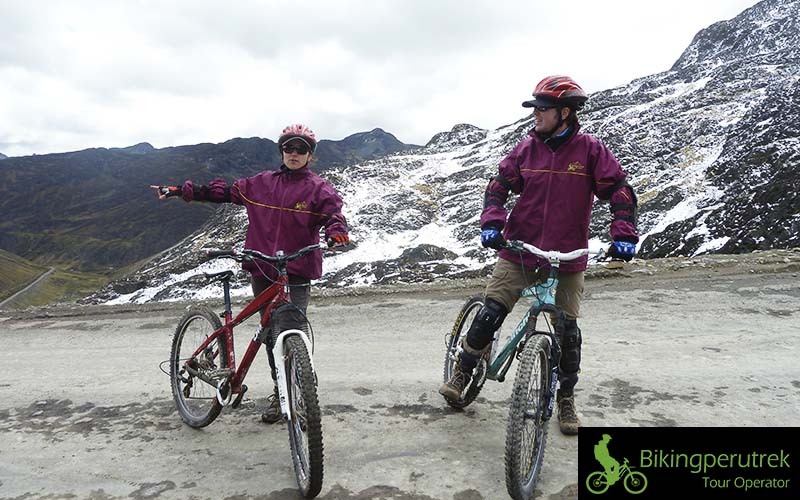 From here you’ll get your biking equipment and after going over a few safety procedures the ride begins. During the first part of the ride we’ll pass a lake, there are a few up- hills and a some nice downhills with optional single-tracks for those who like it a bit more technical. The scenery is unforgettable with excellent views of the Veronica mountain range. 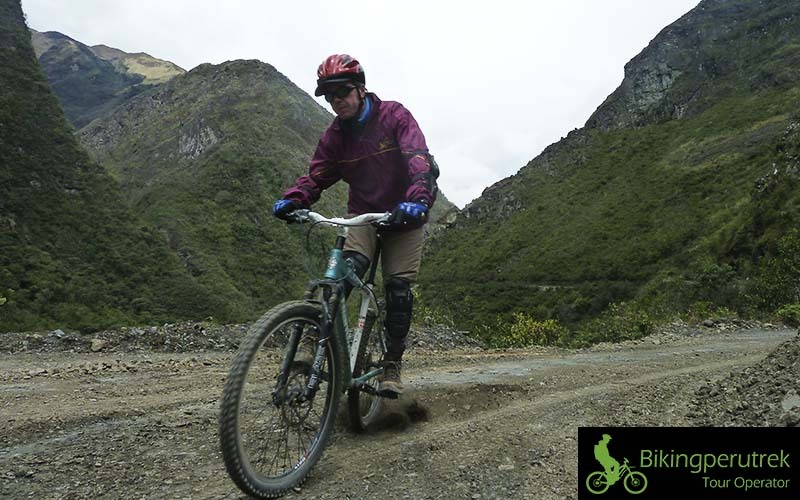 Mountain biking down the “Worlds Dangerous Road” from heights mountain of Machu Picchu (Yana Mayo pass ) is one of the most popular activities amongst backpackers in Peru. 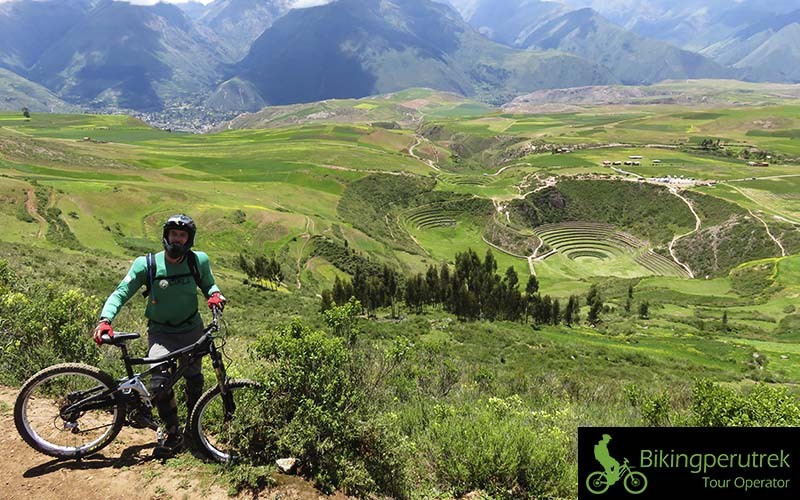 This BikingPeruTrek tour takes you to the archeological sites that are located right outside Cusco and are known as the “Four Ruins”: Our private car will bring us first to Tambomachay. This hair-raising, adrenaline pumping tour captures the majestic power of Machu Picchu and fuses it with a variety of extreme sports and unbelievable trekking to give you the most action packed experience you can find. 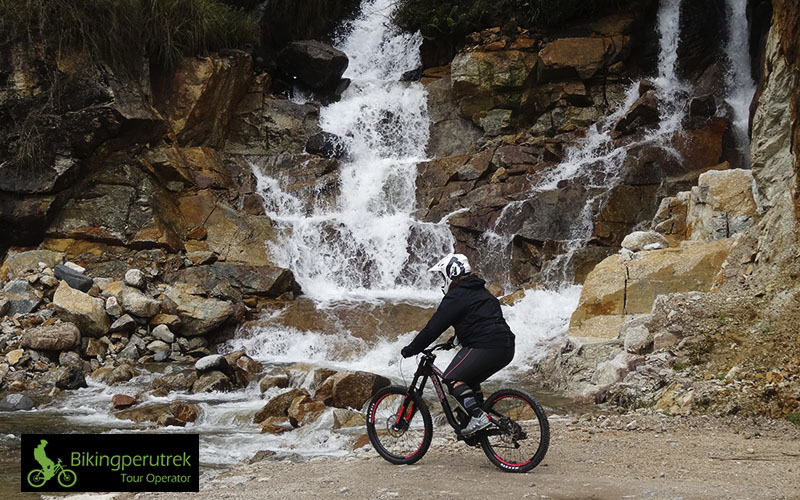 Downhill mountain biking, zip lines, raging rivers, sleeping deep in the jungle, walking along lost Inca trails up sheer cliffs shrouded in clouds before reaching the mysterious and stunning ruins of Machu Picchu, this tour has it all! It is said that somewhere deep in jungle near Cusco the ruins of the Great Paititi, the lost Inca City and preserved within its walls, the treasures that the Inca elite hid before the Spanish conquest. This is not only an alternative Inca Trail. It is the most original and exclusive recently discovered. It is perfect for anyone with a strong sense of adventure, curiosity, burst of energy. 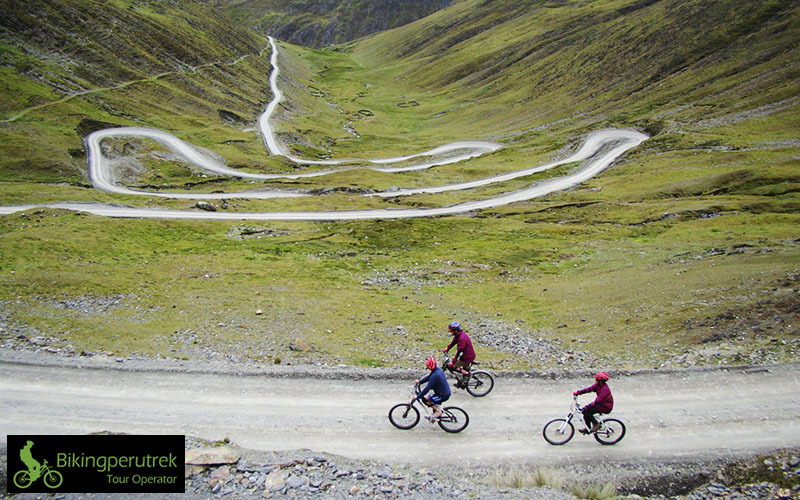 The Inca jungle Trail is a new route offered by BIKINGPERUTREK, which involves biking, walking and just being. 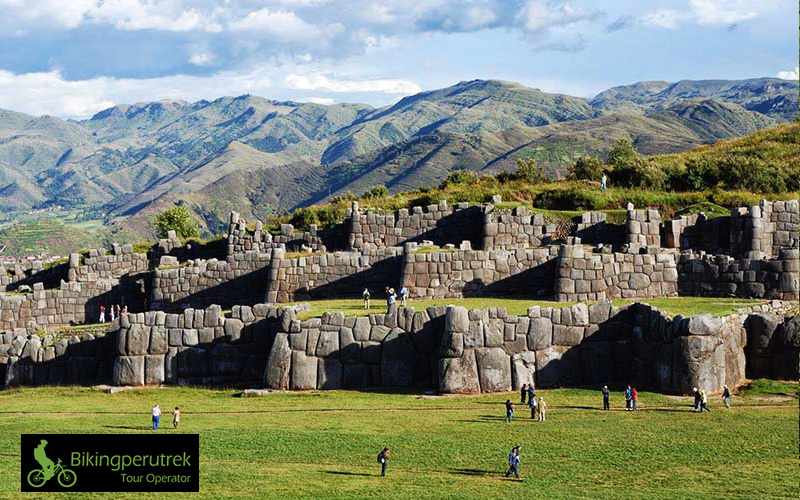 Our multiple terrain trips, includes recently discovered real Inca paths, archaeological ruins. 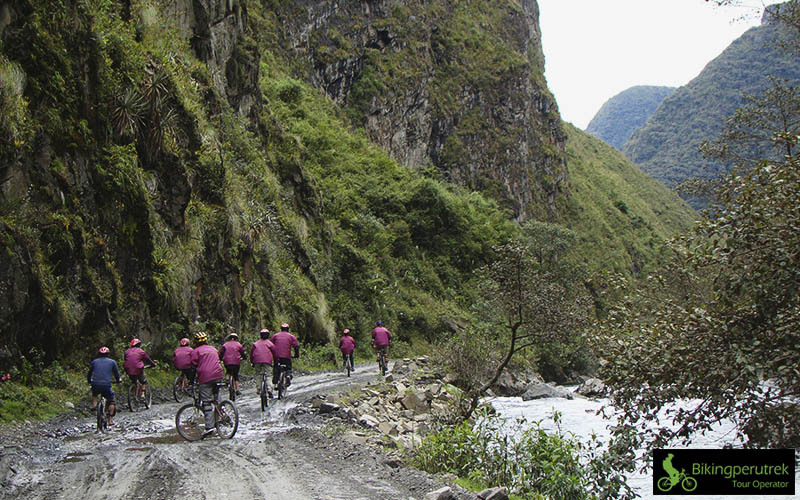 Inca jungle trail 3 Days is hair-raising, adrenaline pumping tour captures the majestic power of Machu Picchu and fuses it with a variety of extreme sports and unbelievable trekking to give you the most action.